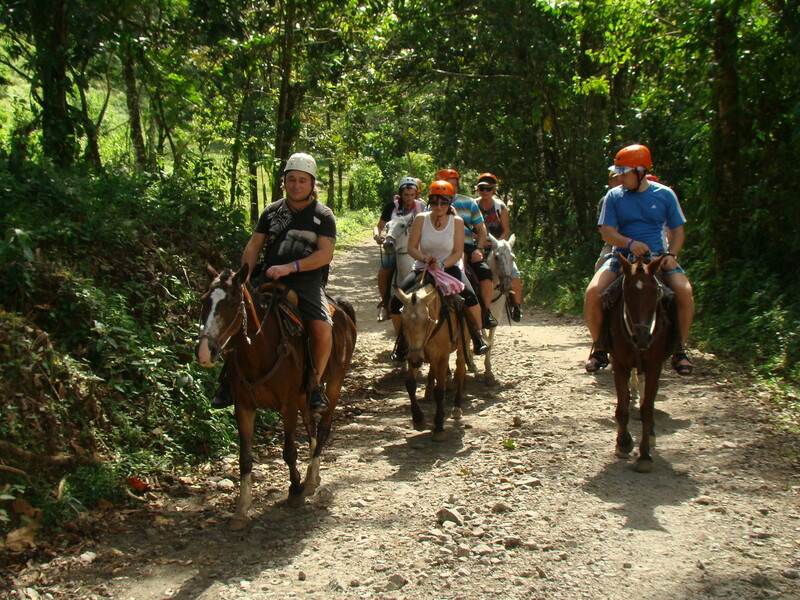 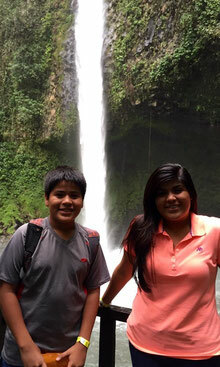 Horseback riding is the best way to go to La Fortuna Waterfall. 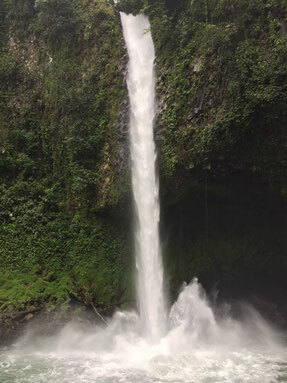 Any time during the day, it is perfect to visit Fortuna River’s waterfalls, we suggest taking the trip before 2:30 p.m. due to the fact that by 4:00 p.m. the main gate to the waterfalls will be closed. 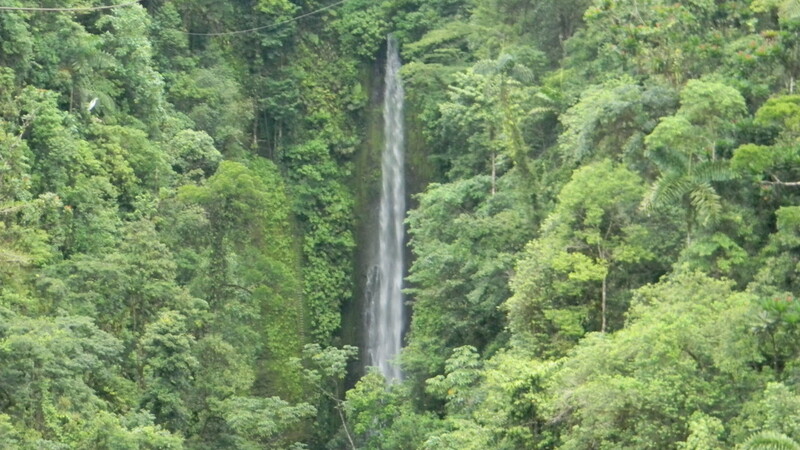 After a relaxing 1 hour horseback ride, you will arrive at the upper part of the falls, from here you will contemplate the 230 foot waterfalls. 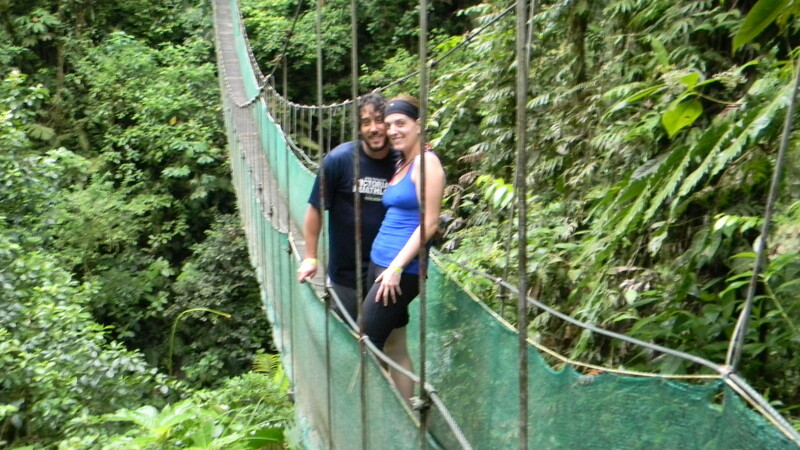 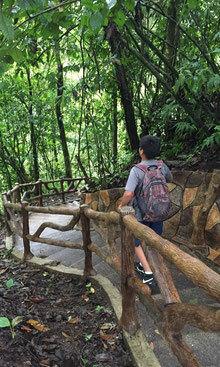 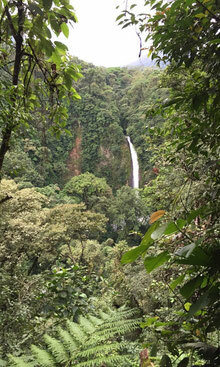 Then, we will begin our hike down onto a stairway through a wonderful rain forest until we reach the cascading pool. 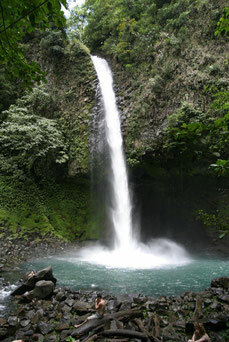 Here you might consider going swimming into these cold waters and rest on the several rock outcroppings found along the riverbank. 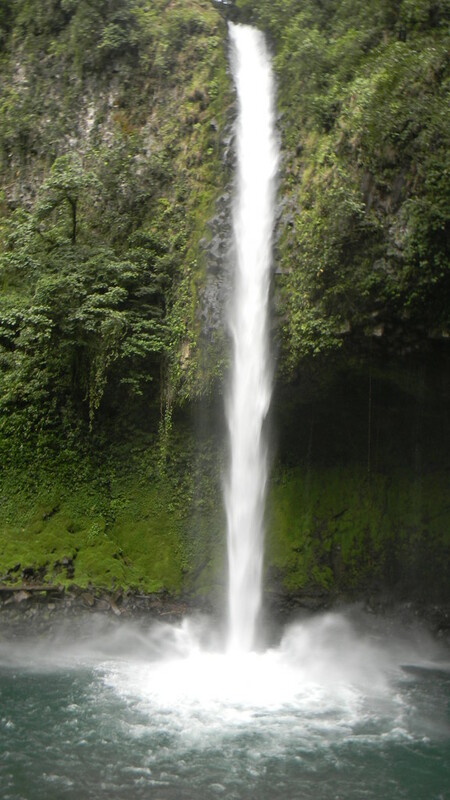 While relaxing yourselves in this place, you are welcomed to enjoy the surrounding tropical rain forest, which provides a breathtaking natural setting with the majestic waterfalls on the background. 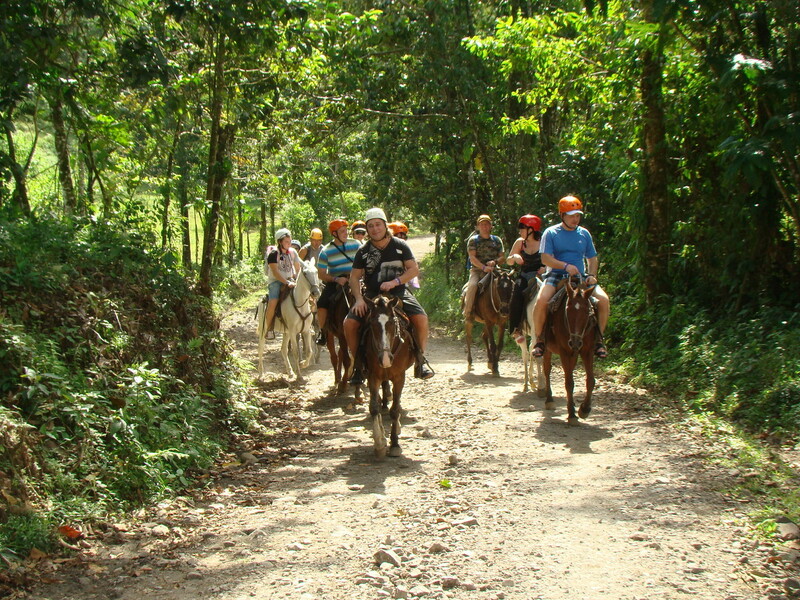 Included: Transportation from and back to your hotel at Arenal Volcano area, local guide, entrance fee to the reserve. 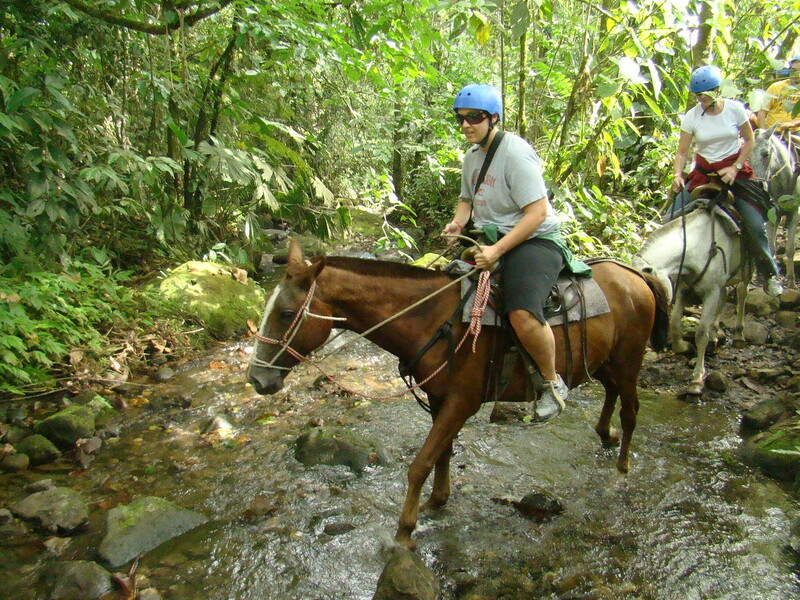 Please fill out the form if you need to make reservation or if you need any extra information about Horseback riding to La Fortuna Waterfall tour.